In this episode of Leading From Behind, we continue our look at follow-up sessions. 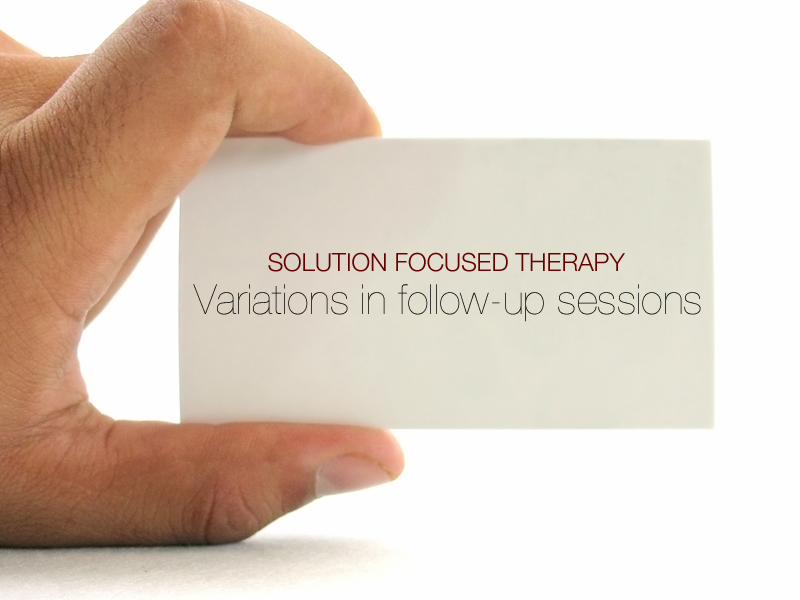 Although the solution focused therapist is concerned with "what's better" in follow-up sessions, clients invariably will report setbacks and/or circumstances that appear to remain unchanged since the previous session. The focus in this episode, therefore, is on how the solution focused practitioner responds to the many variations of 'better, worse and the same,' while at the same time maintaining a solution building stance. Solution Focused Therapy Treatment Manual for Working With Individuals - an updated document prepared by a number authors on behalf of the Solution Focused Brief Therapy Association.